Join UNO and UNMC alumni and their families at Alumni Night on the Court; Feb. 14. Feel the love for all things Maverick this Valentine’s Day — join UNO and UNMC alumni and their families at Alumni Night on the Court Thursday, Feb. 14, at Baxter Arena, to watch the UNO men’s basketball team take on South Dakota State. Hosted by the UNO and UNMC Alumni Associations, Alumni Night on the Court begins with a pregame reception at 6 P.M. featuring snacks and beverages, door prizes, games, the Maverick Dance Team and an appearance by UNO Coach Derrin Hansen. That’s followed by tipoff against the defending Summit League champion Jackrabbits at 7 P.M. Alumni will be seated together in one section. Alumni from both UNO and UNMC love their universities. 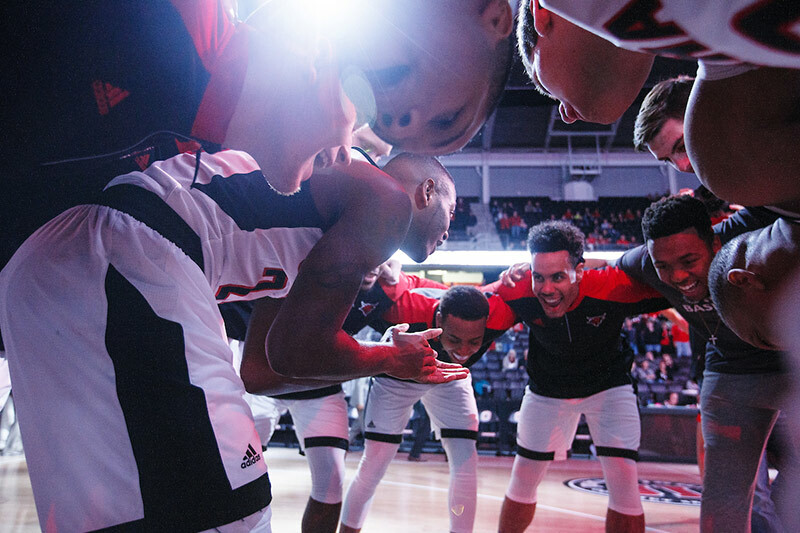 Let's show some love for the student-athletes of UNO basketball, too. Cost is $15 per adult, $10 per child. Price includes reception fare, game ticket and a meal voucher for use during the game at a Baxter concession stand.